Dynamo Kiev midfielder Lukman Haruna has shared his thoughts and impressions on the 0 - 2 loss to Ukrainian Premier League champions Shakhtar Donetsk in the Super Cup decided on Tuesday night. The Nigeria international was introduced late in the second half, around the 80th minute, with his team trailing 1 - 0. “ We tried very hard and did everything possible to win the Super Cup, but unfortunately lost. 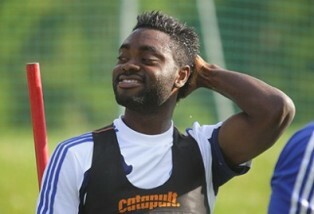 “However, this is only the beginning of the season, I believe that this year we will win the championship,” Lukman Haruna said to dynamomania.com. The Kievites have not won the Ukrainian Premier League for the past five years. In their opening fixture of the new season, they are at home to Vorskla on Sunday.